The latest trends in online marketplaces are regularly placed in the spotlight, none more so than trends in online gambling. This massive marketplace has continued to surprised researchers for years, and with development in mobile channels, continues to surprise even more. The latest trends and development findings from yStats.com has found that this sector continues to grow. No BIG surprises there! Even gambling on social networking sites such as Facebook is getting a good deal of attention. The increase in use of smartphones and tablets is topping the charts, so too is the use of this technology, increasing both gambling and sports-betting numbers. Currently live, or what we call "brick and mortar" casinos, are still dominating this scene, however, real money gambling online is expected to grow at double-digit rates into the future. Experts are predicting a growth rate of 40% or more by the year 2018, which is not so terribly far down the line. Besides smartphones, tablets, and the growth spurt that this technology has engendered. There is ever increasing pressure for countries that ban online gambling, to change their regulatory landscapes. Regulations are varied throughout the world, with North America lagging way behind in an industry that in the UK has been legal for years. In fact the UK leads the way’ miles ahead of the rest of the world! Western European countries have some regulations in place, while Asia also lags behind. The pressure is on from both the industry and people who wish to gamble online, to lift anti-online gambling laws, as well as regulate this industry. The argument for regulation is not so that only Governments have better controls, but that players enjoy more protection too. When speaking about the growth in popularity of gambling online, and its continued success as an online industry leader, we are talking in numbers off Billions of Dollars. It is precisely for this reason that many Governments do not want to legalise and regulate. Why? Well, despite the fact that "moral" arguments are most often espoused, the real reason seems to be Government greed. Online industry is slightly more difficult to control in terms of taxation, as the British Government have found out to their great loss. But as more advanced tech becomes available, it makes the industry easier to audit and control. However, it seems that most governments around the world would rather have no taxable income from this industry at all, rather than a small slice of something huge. We don’t find it very surprising that online gambling habits are regularly placed under the microscope for industry scrutiny. Marketing methods have become more scientific over the years, in particular in the online space, where this industry is now a mainstream model for making money. Mobile game sales, spending rates, hours spent online and so on, are all grist for the mill for surveyors when attempting to understand how to market to their chosen audience. New research in a report from the Online Gaming Market, 2014, sees that players in Europe spend more time playing, than gamblers on any other continent. The research includes social network platforms such as Facebook, as well as use of mobile devices like smart phones and tablets. Apparently nearly 20% of the entire population enjoys taking a gamble online. It seems that experts in this industry find these numbers disproportionately surprising, however the facts remain in particular in the UK – consumers eagerly participate in playing online games. Gambling platforms have become a part of everyday life, and half of all UK tablet users make this channel their first choice. There is a definite predisposition for online gambling through mobile technology, which promises much growth for mobile gaming into the future. Mobile in-game purchases as reported by specialists -Swrve– says that 0.15% of mobile gamblers generates 50% of monthly profits. This is the first Mobile Games Monetization Report Swrve has published, and it is hugely interesting to note that so much money is generated from a such a small number of spenders. But the point is that there are a whole bunch of active players that truly enjoy online, or rather, mobile gambling games. The study was conducted across "tens of millions of players", the aim being to find precisely "where the money is made". It took a whole month to compile and what was also found to be rather interesting – was that very little data exists to show how consumers relate to“free-mium” games. There are many free online gambling models to take advantage of, and while many players do, there is still this small section of players in the market, generating a great deal of money. Facts revealed indicate thatwomen tend to wager more, and the over 50 age group makes up a large proportion of the social online casino player index. The myth is also being dispelled that people over 50 arenot computer savvy. The second biggest player category is the 60 – 69 year-old age group. The fundamental concept of any online business, is that business can take place on a global scale, and this concept applies to online gambling. This type of business without borders is also a model that is intrinsic to the freedom of trade principles adopted by law-makers of the European Union (EU). However, when it comes down to online gambling and EU free trade principles, many EU countries still practice monopolistic approaches. This is frowned upon by the EU. Now Dr Christos Dimitriadis – Intralot’s Head of Information Security has spoken at a Berlin conference, and said that “it is inevitable that new types of mobile games that could incorporate gambling features will become legal across the European Union”. Intralot builds lottery systems, terminals, and so on, and has a presence in fifty-five countries globally. He was a guest speaker at the ISACA Insights World Congress 2013, when he made clear that their firm would be both keen, and able to investigate new business breaks, if the entire EU were to make mobile gambling legal. The gambling sector is currently merging mobile services and the cloud, which is proving to be incredibly popular with punters, and is showing exponential growth with many UK-based operators. The problem with this form of gambling for EU member countries, is that they are not all on the same page, when it comes down to legalising games of chance that are internet based. As we said in the first paragraph – even though the European Commission has drafted an across-the-board framework for the online gambling industry – member states are being very reluctant to come to the party. It is unfortunate that regulatory changes have to be made country-by-country, but it is what it is. The belief is that eventually there will be a way in which each member state controls e-gambling. They must play a regulatory role because of the “responsibility” factor. Gambling is believed to be best when it is controlled by law, or otherwise unscrupulous operators are able to take advantage of the public. The problem is that the EU has a great business model to follow in the UK, but don’t seem to be able to apply the lessons learned by the UK into their own situation. Great Britain is home to the most mature sector of the global online gambling industry, and their legal framework seems to work, although like times, technology changes, and laws should be tweaked to compensate for this change. Mobile gambling in the UK, has hit the ground running in the past couple of years, and consistently appears to be enjoying an exponential growth swing. For years we have been seeing exponential growth in the online gambling market, and a recent report released in the UK only confirms this for us yet again. Since 2008 when £1.27 billion was the number, this industry has grown to be generating a pretty impressive £2 billion in 2012. This is an 80% revenue growth. Internationally the business is worth a whopping £30 Billion. William Hill claims to hold the largest market share in this UK industry. They are certainly one of the “Betting Giants” in the bricks and mortar biz, where online they control approximately a 15% share. This does not seem like a huge percentage in the bigger scheme of things, but the other large betting brands fall behind by 4% and more. This is quite a big deal when we are looking at figures in the Billions of pounds range. The most dominant revenue spinner in the UK online gambling market place is sports betting, this has been the case for quite some time. It is also the fastest growth sector, with a high percentage of bets being placed from mobile phones – mostly smartphones. Online/mobile sports betting makes up for a total of 44% of the entire online gambling industry in this country! It has grown by a massive 102%, and is estimated alone to be worth £1 billion!! Because the industry is such a massive revenue spinner, we have previously reported that the UK Government also wants to get in with a chance to win. Although nothing is concrete as yet, they are contemplating changing the law to lower taxes for online operators. We think this is a case of too little – too late. Gibraltar does not – they are resisting changes to UK Gambling Laws, and understandably so. They stand to lose a huge slice of this industry should UK developers, and operators up and leave from their shores. Gibraltar has tried to ensure that the EU encourages the UK to drop new draft Gambling Tax Legislation. The Gibraltar Betting and Gaming Association have even threatened legal proceedings should the new laws ever be enacted. The current UK daft proposals could see significant changes taking place, including removing “White Listing”, as well as requiring all offshore operations to be secondary licensed to offer gaming to residents in the UK. Gibraltar is an island state that is White Listed which means, they enjoy status as a recognised UK gambling jurisdiction. If White Listing status was removed, taxation was dropped, and or secondary licensing became required, the well-establish Gibraltar online gambling industry might suffer quite significantly. Tax-cuts Of the UK Online Gambling Industry – Is This Really On The CARDS? We have been reading in the news that the large online gambling concerns, which offer offshore services to UK residents, may be in for beneficial tax-cut to lure these industry players back into the country. While we think this is a very fine idea, whether it ever comes to fruition or not, still remains to be seen. Recently there have been massive protests against the fact that industry giants such as Amazon, Google and Starbucks have been involved in corporation tax avoidance. Apparently the government has also been aware of this and has failed to crack down on defaulters. In the meantime, an across the board tax of 15% applies to all gambling concerns, and this has seen an exodus of big brand names such as Ladbrokes, William Hill and other interactive divisions of brands, taking to the hills to license their products offshore. While this has provided big business for Gibraltar, Isle of Man, Alderney, Malta and other independent members of the ex-British Empire. It does not do a lot for Her Majesty’s Customs and Excise coffers. Not when we bear in mind that the majority of the customers who follow these big name brands are actually situated in the UK. Luring interactive gambling industry giants, and even the smaller concerns, does not only mean licensing fees will be filling up UK tax coffers. The industry is a mostly high-tech concern, and therefore highly paid people are employed in jobs, office space is required for hardware, software designers, financial, administrative, and all kinds of other highly paid people, and all of these people pay tax. An active industry also stimulates the economy too. As an example perhaps we should look at Tombola Bingo. This is one of the very few interactive online bingo concerns that keepsoffices in the UK. Although they too are licensed in Gibraltar, they have offices based, and employ people in the Sutherland area. Despite the strict tax regime, which is even tougher for the bingo business in Britain, this business has continued to grow, and has on more than one occasion actually doubled in size. With attractive tax cuts scheduled – which seems to be what Chancellor George Brown is planning, Britain’s biggest gambling companies could move back to the land of their birth. Despite the fact that this is a highly controversial move, if we think about it in pure numbers terms. It is far more economically beneficial to have twenty online gambling companies paying licensing fees, salaries, overheads etc, as well as 5% or 10% tax. Than it is to have NO online gambling companies paying any of the above expenses we listed. Bearing in mind that there are hundreds – if not thousands – of online gambling concerns offering services to the residents of the UK; the more attractive the government makes it for them, the better it is for everyone in the long term. 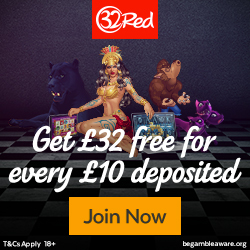 According to The Mail on Sunday – "the Treasury is considering slashing the gambling levy by a third to recoup some of the £2.1 billion in revenues that has been lost over the last seven years."